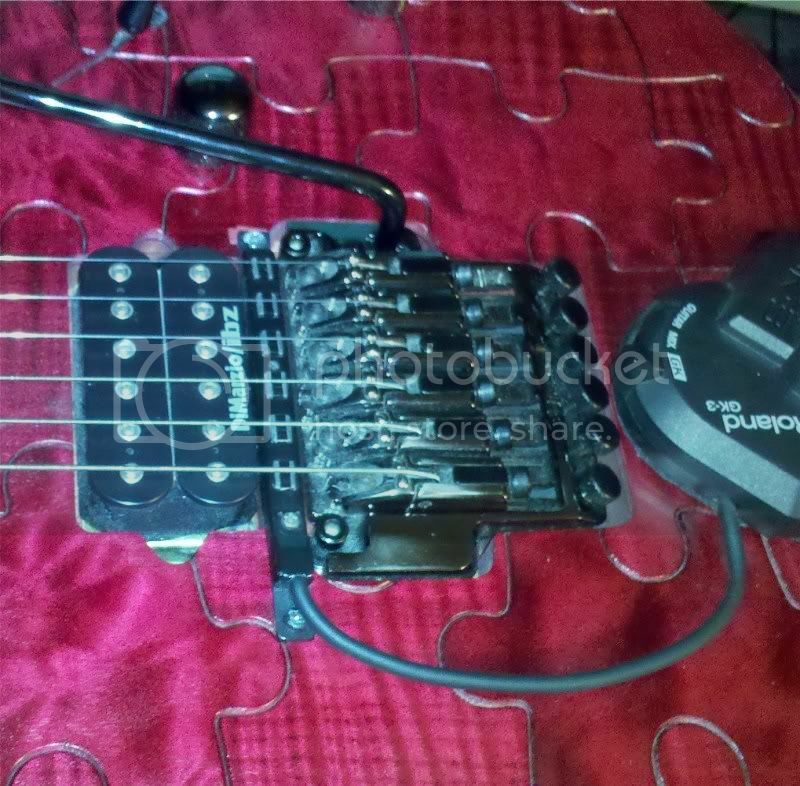 I agree, more midi enabled guitars please! I have both factory 13 pin Ibanez guitars, RG 420gk, and RG 1520gk, but needed a bit more colour in my life,...haha. I installed the gk kit with gk3 radius adjustable hex in this RG 920. I opted to not install the switches. Everything is controllable with the GR 55 and I wanted to do as little routing as possible. The cable for the gK is tucked behind the bridge pickup, and follows the pickup cable into the cavity where the PC board is located. This by far my favorite GK guitar,.. For now. I do agree they should do another internal GK model for us 13-pin players (I can do a VG-99 demo for you that you probably won't believe). I have a prestige S that I'd love to see an internal conversion on but I won't mount a GK3 on it just because it's far too nice to bolt the "wart" onto it in my opinion. 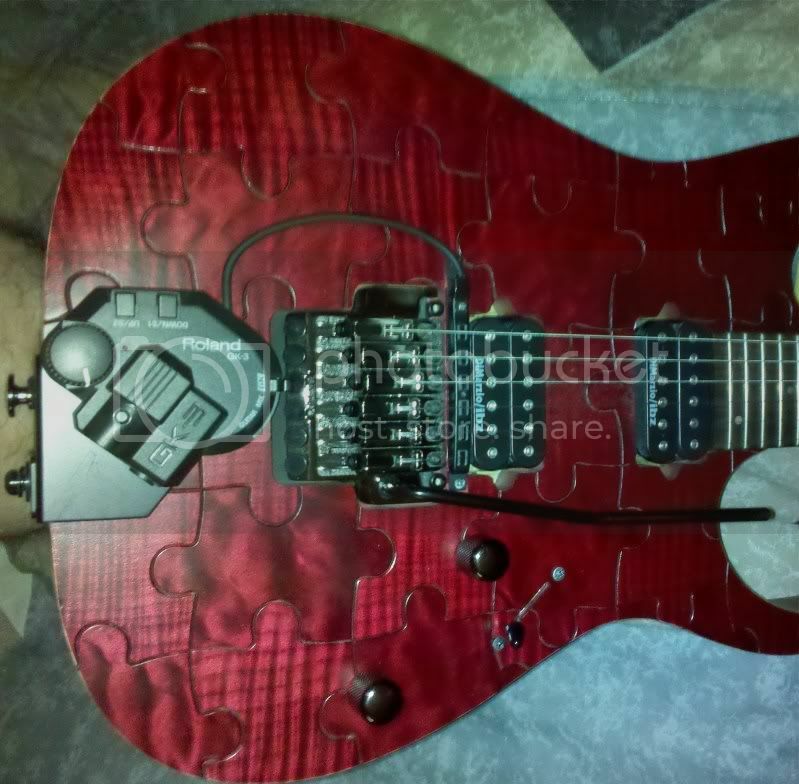 I've got a Jackson Soloist the GK3 is on that at least if I remove it the guitar can be made stock in just minutes if I want. Some very nice internal mods here. 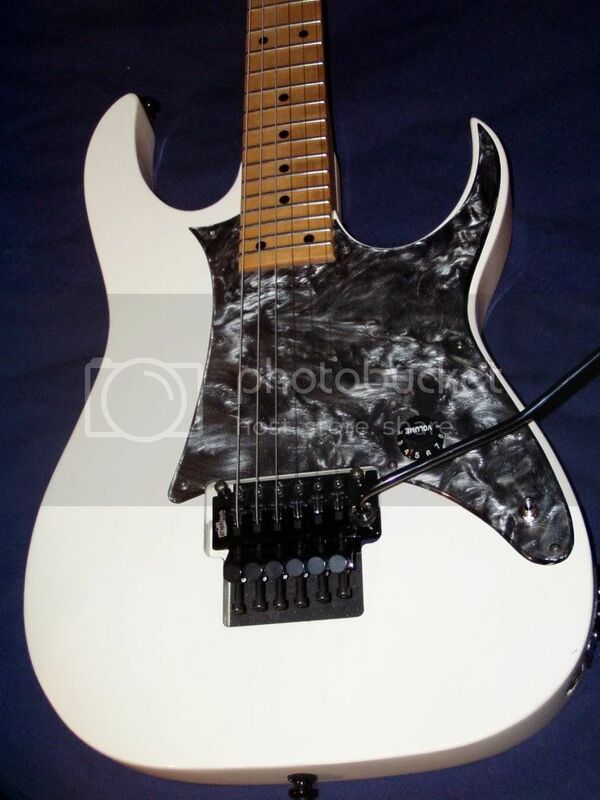 -aliensporebomb, global moderator at vguitarforums. I have to say that in this day and age, I didn't think anyone still used the old Roland systems!! !